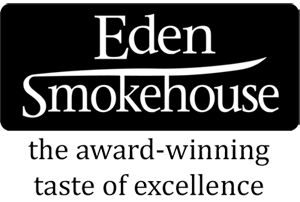 Multi award-winning hot-smoked salmon with balanced medium-rich flavours. A true delight to remember. Great with salads, pasta dishes or as an appetiser. Smoked Atlantic salmon is a great healthy source of Omega 3 oils. Atlantic salmon, salt, sugar, natural woodsmoke.